After a scourge of griefer attacks and a change in headmasters, Minecrafters Academy is once again at peace, and Lucy is working hard to keep up in all her classes. Meanwhile, the school is gearing up for an end-of-the-year talent show, where everyone will showcase their greatest skills, from master building and clever potion-making to strategic fighting. 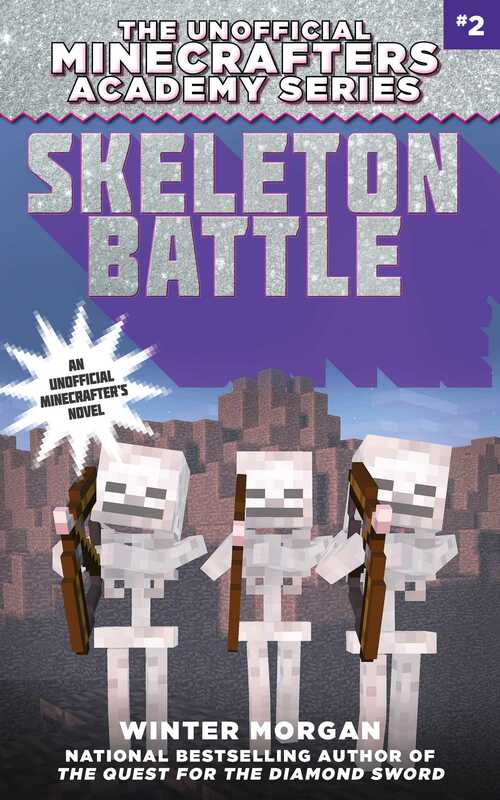 But when a hoard of skeletons and hostile mobs attacks the campus one night, an all-too-familiar struggle begins. Is Isaac, the school’s evil former headmaster, behind the attacks? Lucy and her friends are determined to get to the bottom of the mystery and keep their school safe. As the attacks continue and their search for clues turns up more enemies than friends, Lucy, Jane, and Phoebe must rely on each other to surviveand find a way to save the school. Fans of Minecraft and magic academies won’t want to miss the latest adventure in the Unofficial Minecrafters Academy series.